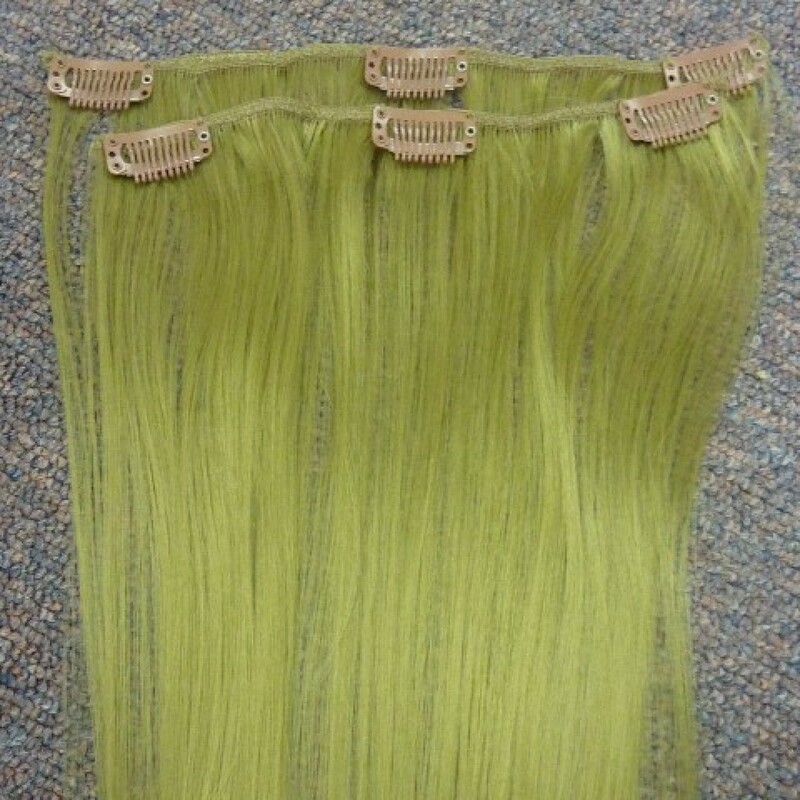 Our Synthetic Clip In Set contains 2 pieces. These sets are made from Japanese Kanekalon synthetic fibre. 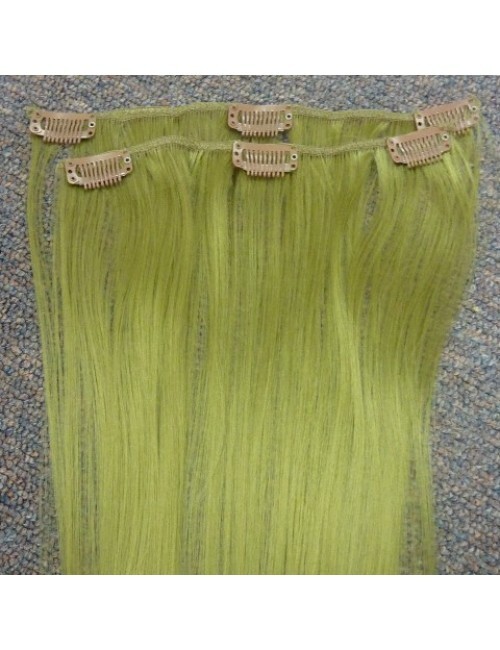 They are a cheap alternative to human hair if you are not going to wear them everyday. Great to add highlights under you hair without going to the trouble of colouring you own hair. Choose a colour to suit your own hair, or a contast colour for highlights.So simple and easy to attach. Simply section your hair and clip in each piece. Wefts have strong silicone lined clips sewn onto each piece to ensure that they grip onto your hair very securely. Change your look in minutes.